Phew! 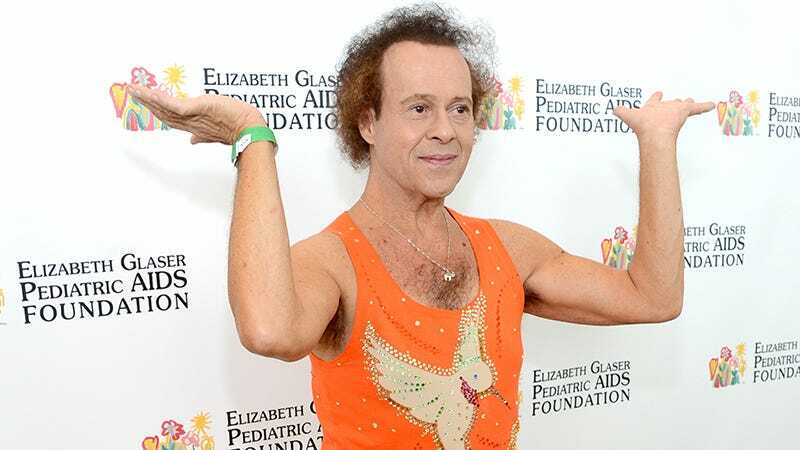 Richard Simmons has responded to claims that he’s being held hostage in his home by an alleged witch-maid by telling both Today and Entertainment Tonight that he is not being held hostage in his home by an alleged witch-maid. Klausner’s mentions were soon flooded by angry tweets from Zendaya fans and people who were offended by her tweets, including Roxane Gay. Here’s Sally Field telling Andy Cohen that she dumped Johnny Carson by faking a mental breakdown, which is apparently the most effective way to dump Johnny Carson.